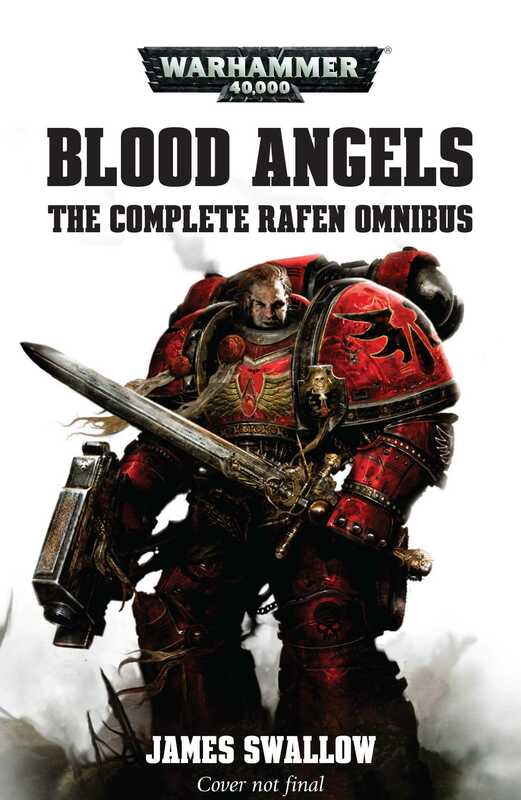 This omnibus edition collects together for the first time the four Blood Angels novels of author James Swallow and includes several bonus short stories. The full story of Blood Angels Brother Rafen. From humble battle-brother to war-hardened sergeant, Rafen survives civil war, Chaos plots and the calling of destiny in four novels by James Swallow. In this epic tale of brotherhood and darkness, the Blood Angels face strife from within when Brother Arkio claims to be a reincarnation of Sanguinius, the Blood Angels’ spiritual father. His message is clear: follow me or die. With no other choice, his brother Rafen kneels before this prophet of the Blood and swears an oath of devotion. But in his heart, Rafen knows that Arkio cannot be allowed to lead the Chapter into darkness. A reckoning is coming, one that they will not both survive. As the ashes settle on the devastating by civil war, the Blood Angels face a dire crisis and must call together their Successor Chapters or face extinction. But the sons of Sanguinius have many enemies, and this audacious scheme to rebuild their ranks comes under threat by the machinations of the arch-traitor Fabius Bile.